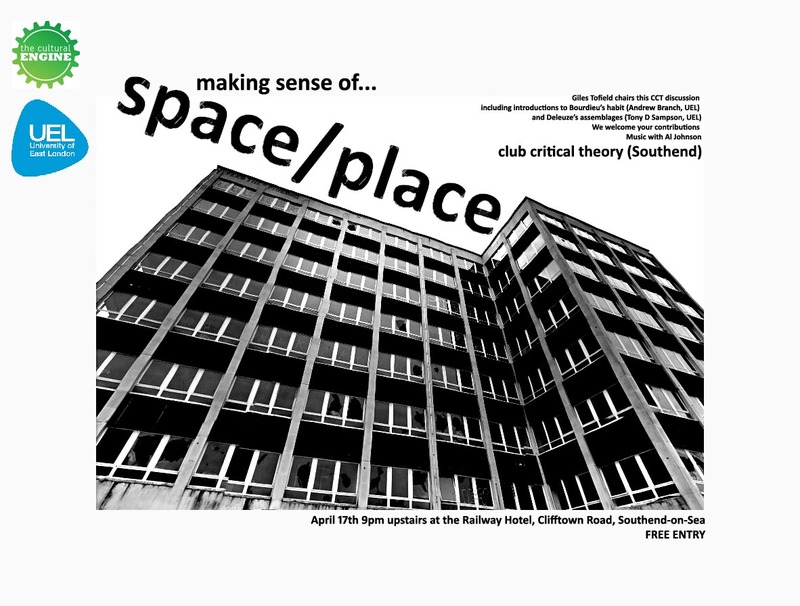 More details of the first club critical theory event. Click on the image to view. UPDATE: See club critical theory blog for more details. Image | This entry was posted in Uncategorized and tagged Andrew Branch, assemblages, Bourdieu, club critical theory, Deleuze, Giles Tofield, Habit, Railway Hotel (southend-on-sea), Tony D Sampson. Bookmark the permalink.